On Wednesday 3 October, Marc Monnet, Artistic Advisor, presented the programme for the 2019 Monte-Carlo Spring Arts Festival (“Printemps des Arts”), in the presence of H.R.H. the Princess of Hanover, President of the Festival, Patrice Cellario, Minister of Interior and Jean‑Charles Curau, Secretary General of the Festival and Director of Cultural Affairs. Twenty-two concerts and a film will be offered between 15 March and 14 April 2019, in nine iconic venues in the Principality. This 35th Festival will focus on two musical genres, the Concerto and the String Quartet, and will also give pride of place to the piano, with a broad exploration of the instrument’s repertoire. This year, the Festival will pay tribute to two 20th century figures, Mauricio Kagel and Karlheinz Stockhausen. For the closing concert, it will open its borders to Mongolian diaphonic songs, which have the special characteristic of producing two sounds simultaneously. The Festival’s wide-ranging programme will also include meetings with the artists and a mystery trip. During the event at which the programme was announced, the money raised from the closing concert of the 2018 Festival was presented to H.R.H. The Princess of Hanover, President of the World Association of Children’s Friends (AMADE Mondiale). As part of the Energy and Climate Plan, Minister of Public Works, the Environment, and Urban Development Marie-Pierre Gramaglia and her teams last year took action to earn carbon accreditation for Monaco Heliport from the Airports Council International Europe (www.aci-europe.org/). In addition, in 2017 the Civil Aviation Authority, in collaboration with the Department of the Environment, established a programme to achieve carbon neutrality. By taking this approach, the Director of Civil Aviation, who also has responsibility for managing the Heliport, has committed to significantly reducing the facility’s greenhouse gas emissions. There are currently 189 carbon accredited airports across the world. 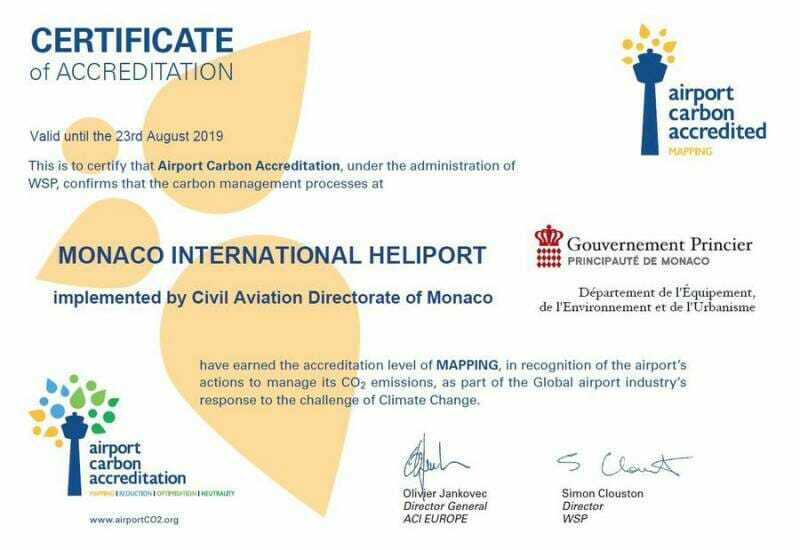 The recent award of carbon accreditation to Monaco Heliport makes it the first heliport to earn this recognition. On Monday 8 October, Mayor of Monaco Georges Marsan signed the National Energy Transition Pact Commitment Charter. The objective for City Hall is to join the effort to achieve a carbon-free Monaco. The signing ceremony was attended by Marie-Pierre Gramaglia, Minister of Public Works, the Environment and Urban Development, Annabelle Jaeger-Seydoux, Director of the Mission for Energy Transition, Marjorie Crovetto-Harroch, Deputy Mayor for Quality of Life, the Environment and Sustainable Development, members of the Council of the Commune, heads of municipal departments and environmental representatives from each of the departments at City Hall. 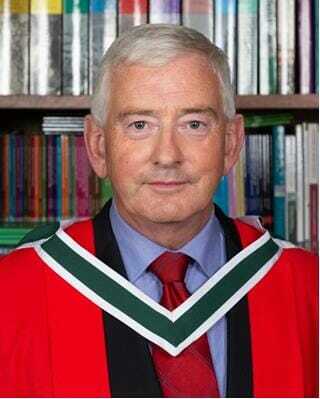 We are very pleased to announce that historian Dr Tony Mc Carthy will be the Ireland Fund Monaco writer-in-residence at the Princess Grace Irish Library from 1 to 29 March 2019. Dr Tony Mc Carthy: “I feel honoured and extraordinarily fortunate to have been chosen as the Writer-in-Residence for Spring 2019 at the Princess Grace Irish Library in Monaco. I would like to express my gratitude to The Ireland Funds for placing their faith in me and I promise to do all I can to repay that trust. Following in the footsteps of so many of Ireland’s finest writers and academics is both daunting and hugely exciting and I look forward greatly to immersing myself in the treasures and ambience of this great library and the delights and sights of the Principality of Monaco. Having recently completed a PhD entitled ‘From landlord to rentier: The Wyndham land Act 1903 and its economic consequences for Irish landlords 1903-1933’, I am working on a number of articles and a book pertaining to my doctrinal subject. Indeed, there is a great irony in my taking up the post in that the central character of my thesis, George Wyndham, was a regular visitor to Monte-Carlo as were so many of the landlords who sold their estates under the 1903 Act and I am looking forward to closing out this symmetry during my stay in Monaco.